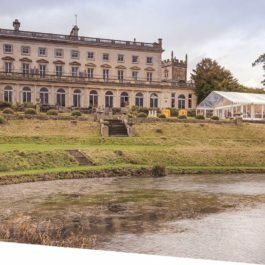 Cheltenham may be well known for horse racing but the city boasts plenty of stunning venues capable of holding hundreds of people for a shared Christmas party. 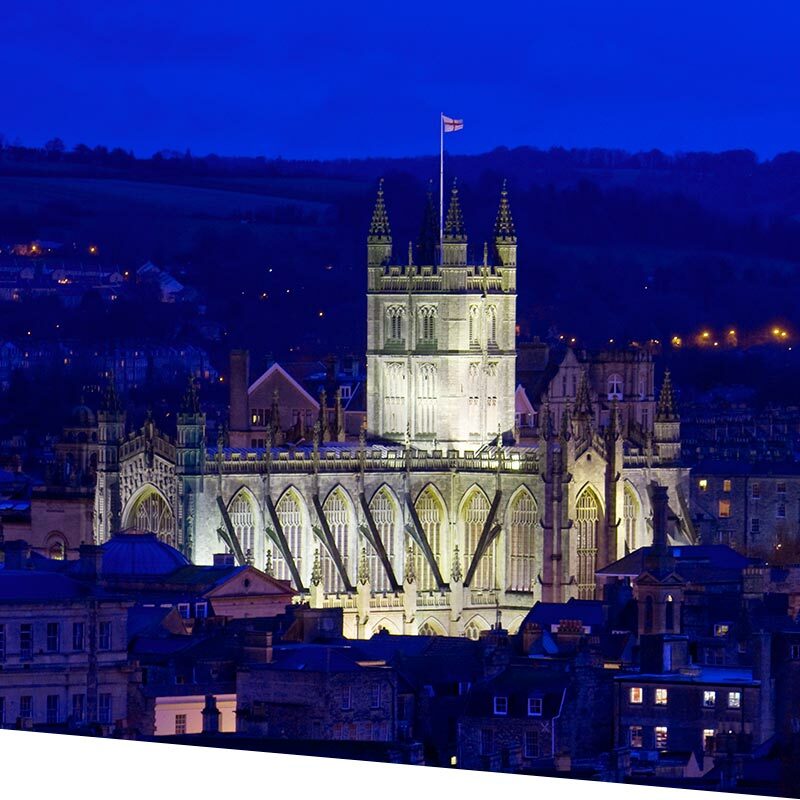 With many festivals and theatres in Cheltenham, you'll have no problem finding a Christmas party night to suit your needs. 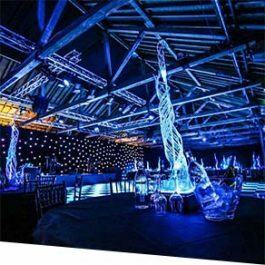 Shared Christmas parties are the ideal way for small - medium businesses to experience an amazing night filled with entertainment, award winning catering and magical themes. Don't want to share your big end of year Christmas party with people you don't know? No problem, hire an entire room or venue for a private Christmas party! 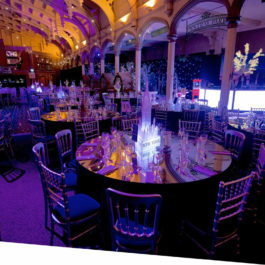 Choose one of Cheltenham's exclusive Xmas party venues and tailor the decor, entertainment and catering to you! 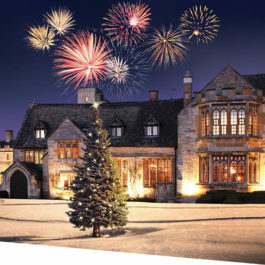 Give us a call and we can help create a bespoke Cheltenham Christmas party for you. Browse all of our Cheltenham Xmas parties individually. 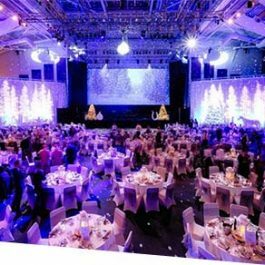 Join us for our fantastically festive themed Big Office Christmas Party in The Centaur at Cheltenham Racecourse. Relax with your fellow guests as you enjoy a 3-course seasonal feast in the surrounds of a themed Centaur but the real party lies in the entertainment. Bristol has always been notorious for its nights out and our Christmas parties turn it up a notch. 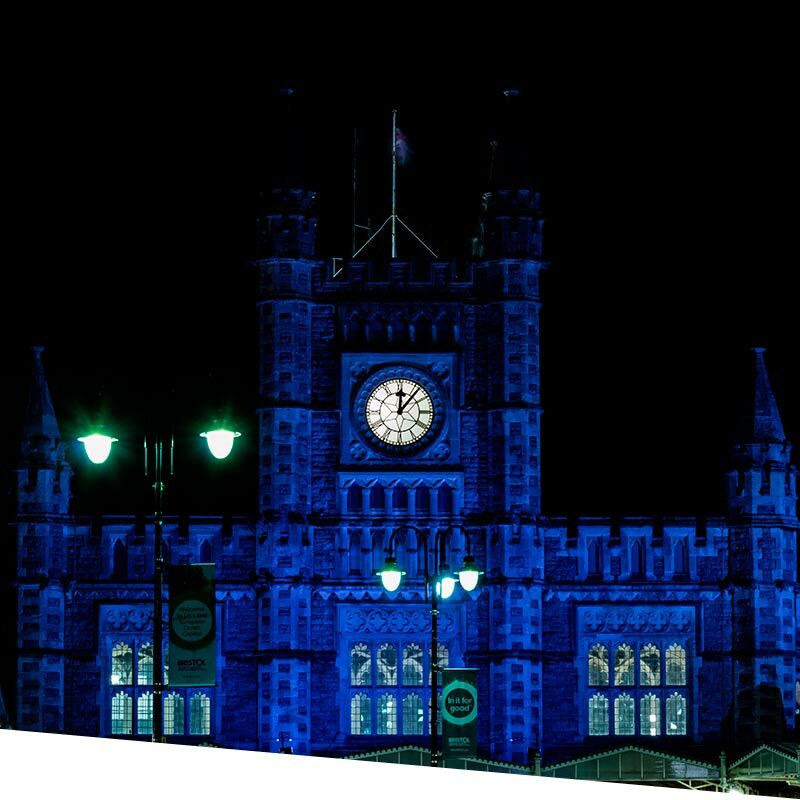 Thanks to the city's history we have plenty of fantastic, historic venues to choose from. Is Christmas really Christmas until you've been to a market for hot chocolate, mince pies, mulled wine and turkey baps? Christmas lights along the Promenade light the stalls selling delicious food and drink, crafts and Xmas gifts.